The history of cane and its associated products in India is traced back to the 2nd century AD. The cane furniture of India is characterized with features like lucidness and comfort with extreme beauty or aesthetic appeal. Cane is noted for its special property in spite of being quite strong it can also be bendable easily and thus making it ideal for furniture making. In today's scenario cane is seen used in making all types of furniture like chairs, tables, sofas, stools, shoe racks, bookshelves, cabinets, beds, couches, recliners, etc. The cane products in India are available at different price ranges suiting the budget of all class of people. The North East state in India, Assam is noted for its rich sylvan resources and its forest areas are stocked with bamboos and canes of various species. Cane and bamboo having a wide variety of potential forms an indispensable part of the lifestyle and economy of the people of Assam. In those days the halwa was sold in streets by walk. However the origin of the halwa dates back to 1882 when Mr.Jegan Singh who is considered as the father of Halwa took the initiation of opening a shop in Tirunelveli. 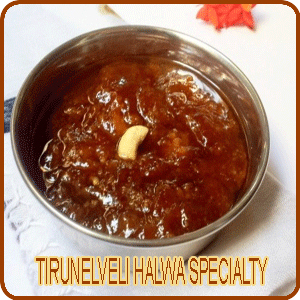 It was the first halwa shop and was name as "Tirunelveli Halwa". A beautiful comparison is made between the halwa and saliva where the saliva had fallen in love or has a deep love affair with the saliva. It is always anticipated and appreciated by anybody with the smacking of their tongues. The superior and the genuine quality of halwa are sold in the "Iruttukadai" which is supposed to be the best shop to get the original quality of Tirunelveli halwa. They are the pioneers of Tirunelveli halwa. The shop is referred or more popularly known as Iruttukadai or the dark shop for the shop still follows the tradition of selling halwa in a dark place with just a minimal facility of just a 40 watt bulb. The Iruttukadai is a very old shop which even now has only follows the pattern of having wooden shutters though the halwa is very famous worldwide. This shop is estimated to make at least several thousand rupees worth of halwa every day. There is lot of shops in and around the main Tirunellveli bus terminus busy throughout the day. But however the people here say that nothing can take over the original or pioneer namely the Iruttukadai which is situated a mile away in place generally referred by the people as The Town. This shop is located near the famous Nellaippar temple, where when you take a left from the temple and the sixth shop on the left is the Iruttukadai or literally the dark shop. There is not even a name board to indicate the shop. The shop is referred as iruttukadai for at least the past five decades. The shop is not open throughout the day for it opens only at 6 in the evening even before which there would be a big crowd gathered outside the shop to buy the halwa. The halwas are already packed and readily available in ¼, ½ and one kg packs for easy distribution but however even small amounts when required are weighed and parceled to be sold. Though it is not directly exported to other countries, friends and relatives buy the halwa and parcel it and then courier or send through people traveling to different parts of the world. On such instances the shop takes extra care in the packing of the halwa with additional cellophane paper but still charge nothing. 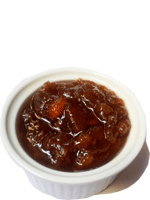 Halwa is also sold as short- eats to people who wish to eat it hot on the spot. The family which is involved in the pioneer halwa is Mr.K Bijli Singh or the present owner of the shop who is a Rajput by birth. He says that his family is into the making of famous Tirunevelli halwa at least for the 6 to 7 decades for even his father Mr. Krishna Singh, the man who started this was born in the Chokampatti town of Tirunelveli. The rich heritage of the shop is still maintained. The shop owner explains that initially the halwa was made exclusively by them itself but later they started using local cooks to prepare the halwa but still the recipe remains the same. Thus in the rest of the world the Rajputs are known for their warrior skills but in the town they have also exhibited their talent in making this extra ordinary lip- smacking treasured dish. But still questions arise if the same recipe is followed everywhere then why the taste differs in other parts of the country where they make the halwa. When this question is put across the owner he just says with a twinkle in his eyes that is because they use the most sweetest water from the Tambiraparani river.Bijli Singh is so much attached to old sentiments and traditions that he doesn't want to change anything in his shop for he says that any changes in the shop may give the people a chance to think that the management is changed and will lead to a setback in the business. The specialty of the Tirunelveli halwa is that it is made of wheat and cooked in the water from the Tambiraparani River which is nourished with Herbals from Western Ghats especially the Agasthiyar Hills (Courtallam Falls), the origin of Siddha Medicines. The recipe of this wheat -based halwa is sure to raise your brows up and makes you to stick out your tongue. Though the original recipe or the formula is duplicated and copied throughout not only the country but even across the globe but still nothing can beat the taste got from the original town. Infact there are even lot of other shops in and around Tirunelveli which is based on only making this halwa which cannot mark itself up to the grade of the Tirunelveli Halwa got from the Iruttukadai. The halwa got from this shop tastes unique. It is very difficult to copy the authentic halwa. 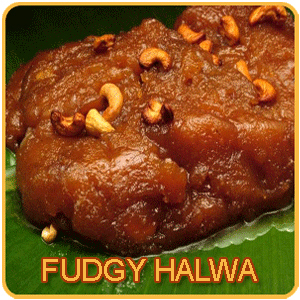 Infact halwa can also be mentioned as a part of Tirunelveli legend. It has a shelf life of about a month. The halwa undergoes various steps before it gets its jelly kind of appearance tempting everyone. The wheat which is the main ingredient of the halwa is washed several times in the running water till the wheat is free from dirt and until the water runs clear. After washing, the wheat is soaked overnight for nearly about 8 to 9 hours in clear water. After it is soaked then it goes into the grinding machine for wet grinding where the same soaked water is used. Once it is ground then it is carefully filtered only to get the clear wheat milk and of course the husk is thrown away. Then the wheat milk is refrigerated for at least a period of half an hour before it gets on to the hot stove. The refrigeration helps in separating the thick wheat milk at the bottom and on the top with water. As this stage the water collected on top is slowly removed without disturbing the thick wheat milk at the bottom. Usually the water is pipetted out. Then the required quantity of sugar is added to the thick milk and waited till it gets dissolved. With the sugar being dissolved the milk once again gets thickened. At this stage a bit of color is added to the milk. A huge heavy bottomed iron vessel is generally used for the cooking. Then once the iron vessel is ready few cups of ghee is added and once the ghee is heated up, the wheat milk is gradually added and not everything at one stretch. It is constantly kindled and cooked over very low medium heat. Then sago powder is added to this mixture. After a particular stage of heating we can see the halwa bubbling and ready to consolidate. At this stage pour in the rest of the ghee and keep stirring. Then the halwa even while it is still in the stove is garnished with cardamom seeds powder, saffron, fried nuts and raisins.Now when we get the consistency of halwa it is removed from the flame and left to cool which will give it a glossy reddish brown color. If we require more of glossiness or glass- like then more of sago is to be added. Thus the fudgy Tirunelveli halwa dripping with clarified butter is ready to eat and tastes better when it is hot. The cost of Tirunelveli Halwa is around Rs.220 for 1kg. It is also sold in quarter and half kilogram packets. When it has to be couriered it s charged additionally respectively for it is going to be shipped. Unlike any other place the Tirunelveli halwa is not reserved for any special occasions for the people of Tirunelveli it is more like a staple food. 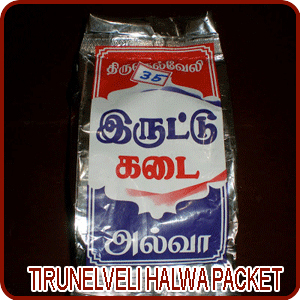 One of the main problem faced by the genuine owners of the Tirunelveli halwa is that if the halwa from one particular shop has demand then immediately someone else start up a new shop in the very same name either prefixed or suffixed by small names which causes more confusion among the buyers as to which is the authentic shop which sells the branded halwa. Though the residents of Tirunelveli can easily spot the original shop, it becomes a very difficult task for the outsiders who come into the city and want to buy the halwa. The halwa is not only the favourite of the residents of Tirunelveli but also it is exported to different parts of the world. 5.Lakshmi Vilas Sweets Shop, Balabagya Nagar South, Tirunelveli Junction, Tirunelveli, TN 627001 .